Plan Your Franklin, NC Getaway Now! With hundreds of miles of trails for hiking, crystal clear rivers for swimming, kayaking, or a lazy day floating along, beautiful waterfalls, scenic drives that will take your breath away, ten active gem mines where you can sift for your own rubies, sapphires, garnets, and other precious and semi-precious stones, you’ll run out of time before your run out of things to do! Shopping, opportunities await as well, antiquing, handmade crafts, and art line our historic downtown Main Street. Come to a place where beautiful scenery, outdoor recreation, history, and Southern Hospitality are a way of life! If you’re an outdoor enthusiast, no matter what your level of experience or desire, Franklin has something for everyone! Take a leisurely stroll along the Little Tennessee River Greenway, five miles of paved path and trail that runs alongside the Little Tennessee and Cullasaja Rivers, right in downtown Franklin! Perfect for running, biking, walking, as well as put ins for Kayaking, canoeing, or paddle boarding. Lakeshore Drive has a put in for larger fishing boats where you can navigate the waters of the Little Tennessee River to Lake Emory and enjoy an afternoon on the water. If you’re an avid hiker, then Franklin is definitely the place for you! 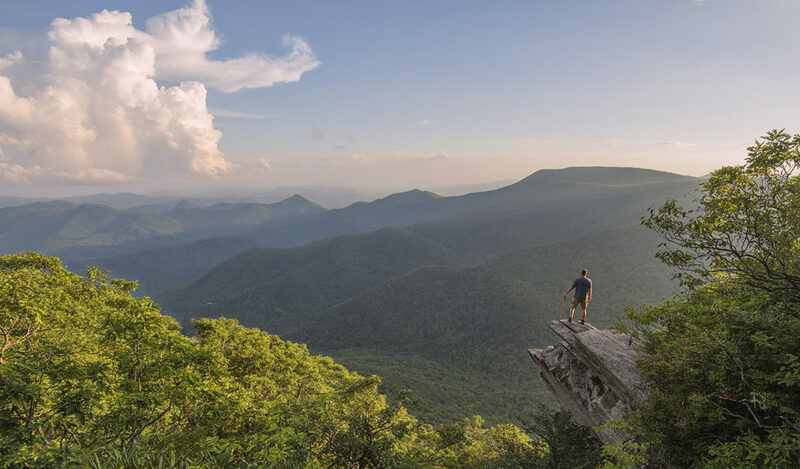 With hundreds of miles of trails, including the world famous Appalachian Trail and Bartram Trail, these are just the beginning of many hiking opportunities. We have maps available at the Franklin Area Chamber & Welcome Center, as well as an online resource with trail descriptions and directions for all skill levels of hikers, along with different hike lengths. Whether you want to get out and explore some of the back country of the Nantahala National Forest, or just set out for a family hike and a nice picnic, we have all the information you’ll need to get started! Miles and miles of scenic roads await you in the Franklin area! If you love to explore the great outdoors, but rather do it from the comfort of your car, don’t fear, Franklin is centrally located to some of the Southeast’s most incredible drives! 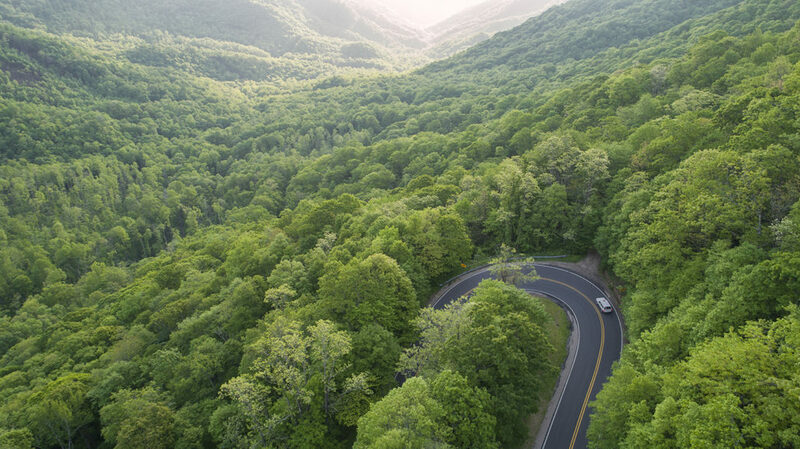 From The Great Smoky Mountains National Park, to the Blue Ridge Parkway, or the Tail of the Dragon, you can easily set out for a drive in any direction and see some incredible views, waterfalls, and historic locations and National Parks. 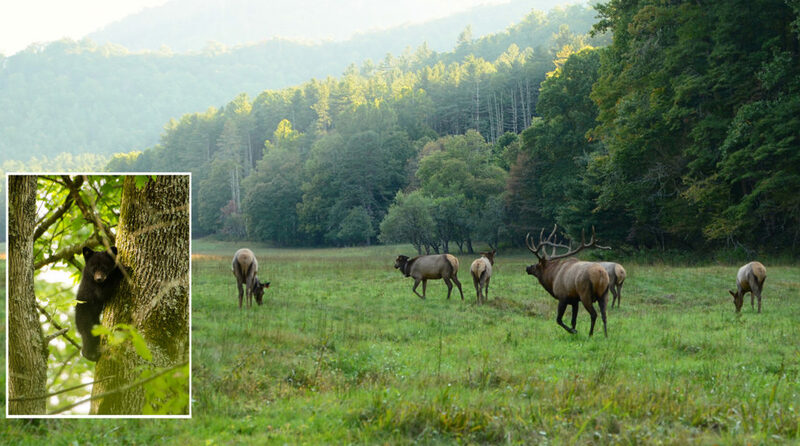 The Great Smoky Mountains National Park is home to some of the area’s more famous residents, the Black Bear and Elk are just two, who wander the park freely, some times “posing” for photos for visitors. The Mountain Waters Scenic Byway from Franklin to Nantahala offers opportunities for both a scenic drive, as well as hiking opportunities starting at Wayah Gap, you can hike Siler Bald via the Appalachian Trail or turn onto FS Road 67 and drive up to Wayah Bald Lookout Tower. Sitting at nearly a mile high in elevation, Wayah Bald Tower offers a 360 view of the area, and on clear days you can see four states! The path to the lookout is an easy paved path that is handicap accessible. 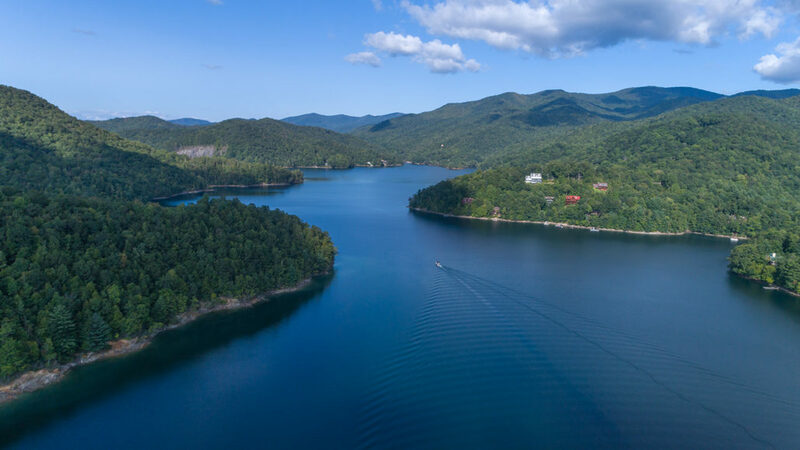 Continue west into Nantahala and you arrive at Nantahala Lake, one of the most pristine bodies of water in the region. Here, you can enjoy boating, jet skiing, kayaking, and paddle boarding just to name a few of the water activities you can partake in. The lake is also a great place to enjoy a day of fishing, where the lake is home to Walleye, Crappie, Sunfish, Trout, and Bass. 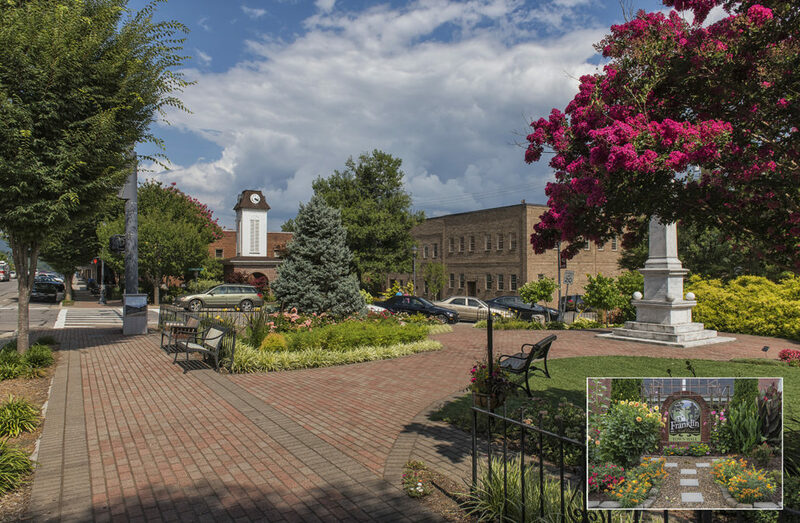 Learn about local heritage at three local museums in historic downtown Franklin, all within walking distance of each other, all with free admission! The Scottish Tartans Museum, the only museum in the world of its kind, The Macon County historical Museum, and the Franklin Gem & Mineral Museum will immerse you in the history of Franklin and how we came to be known as the “Gem Capitol of the World”. Each museum highlights a unique part of Franklin’s history and culture. 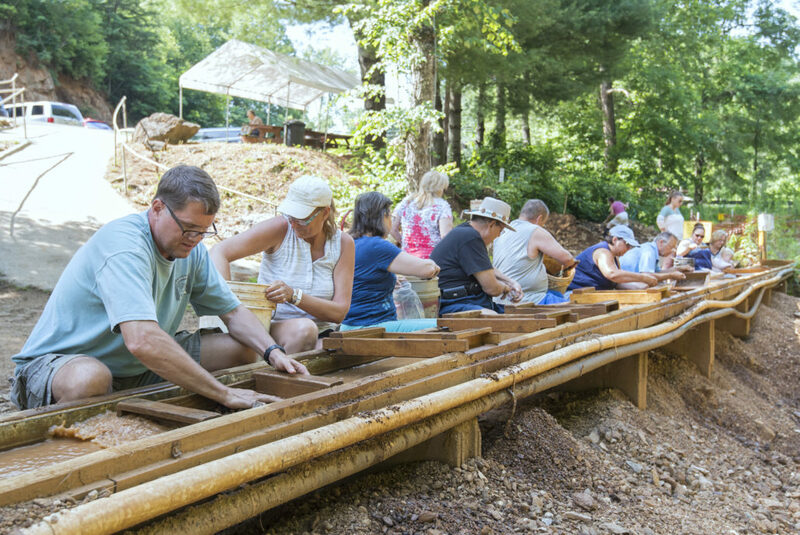 Try your hand at “gem mining” at one of our ten active gem mines where you can find (and KEEP) native Sapphire, Rubies, Garnets, and Quartz as well as many other minerals. Warning: once you catch the “Rock Hound” bug, it is very contagious! If you’re looking for fine dining, local arts and crafts, as well as world class entertainment – Franklin has you covered! Enjoy fine dining at any one of our area restaurants, or lighter fare, while strolling Main Street where you’ll find a treasure of locally owned specialty shops, galleries, and more. Visit one or both of our locally owned craft beer breweries, where you can always sample their latest creations. Stop by the Chamber and Welcome Center and check out the schedule of events for the Smoky Mountain Center for the Performing Arts, where you can see world class shows in an intimate setting, where there isn’t a bad seat in the house. You can even purchase tickets here at the Welcome Center! Come and explore Franklin, NC! One visit is all it takes to fall in love with Western North Carolina, we think you’ll agree, that Franklin, NC is the perfect place for a weekend getaway or an entire season! Follow the links below to start planning your next vacation and get to know the many opportunities that await. Winter, Spring, Summer, and Fall – there’s always an adventure waiting for you, right here in Franklin! Don’t forget to continue to explore our website for all the information you’ll need to plan your stay in Franklin! Shopping, Museums, Local Businesses, Lodging, Dining, and more are right here at your fingertips! https://www.franklin-chamber.com/wp-content/uploads/2018/01/Scenic-Drives.jpg 822 1464 Eric Haggart https://www.franklin-chamber.com/wp-content/uploads/2015/09/Chamber-Logo-Color-trans-3-4001.png Eric Haggart2018-01-12 15:31:002018-05-02 11:02:48Plan Your Franklin, NC Getaway Now! Franklin, NC Solar Eclipse Glasses!